The Himachal Pradesh High Court on Monday stayed till August 11 the process to transfer the 17th century temple of Lord Raghunath, the chief deity of the Kullu Valley, to the government. Hearing a petition filed by temple chief caretaker Maheshwar Singh, who challenged the decision on the plea that the temple is his private property, a Division Bench of Justice Tarlok Chauhan and Justice C.B. Barowalia stayed the government notification to take over the property. After hearing the petition for over two hours, the court asked the State to file its reply by August 11, the next date of hearing. Mr. Singh, a scion of the erstwhile royal family of Kullu, said the government decision was “unconstitutional and arbitrary”. He said the temple, associated with the centuries-old Kullu Dussehra festival, is located on his private property though other visitors are permitted to pay obeisance there. He said the temple affairs are managed by his family since its establishment. 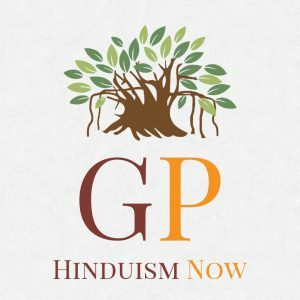 Mr. Singh pleaded that the government cannot add the temple in the schedule of the Himachal Pradesh Hindu Public Religious Institutions and Charitable Endowments Act of 1984 without giving an opportunity of hearing to the petitioners. “The action is wholly discriminatory and deserves to be set aside,” said the petitioner. Chief Minister Virbhadra Singh justified the Himachal Cabinet’s July 26 decision to take over the temple, saying it was in the State’s interest. In December 2014, the idol of Lord Raghunath, dedicated to Lord Rama, along with other idols and valuables were stolen from the temple situated in Sultanpur in Kullu town. The same were recovered after 45 days.